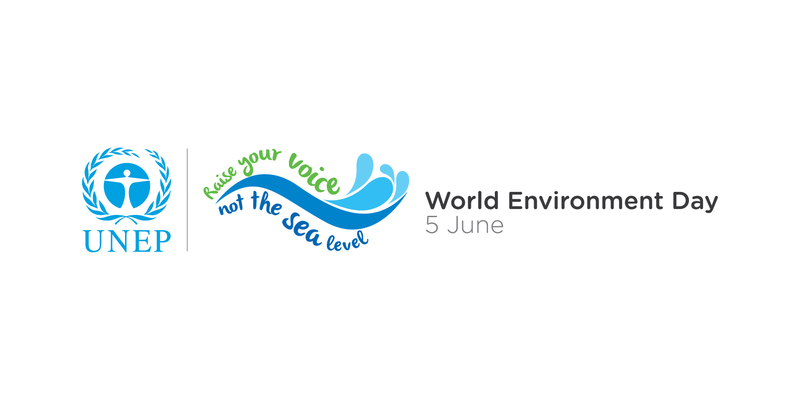 World Environment Day is the date set by the United Nations’ to encourage worldwide awareness and action for the environment. Their slogan is “Raise your voice, not the sea level.” I like it. There are so many things that we can do as individuals that can make a difference: recycle everything you can; walk or take public transportation; and, of course, my favorite, plant a tree! In Nepal, more than 2,000 people, mostly students, commemorated the day by working to set a world record for tree hugging, highlighting the importance of trees, something we understand here in our arboretum. Our trees in the backyard are getting tall enough that they are starting to provide shade for our house. Speaking of trees, I had planned on blogging about making what was being done to make sure that our trees planted last fall were doing well. Our Tree Care Committee has been working hard to get trees staked, pruned, and putting tree guards around their trunks. Most were looking really great. However, with all of the wet weather, I don’t think many of the trees had to send out many roots to get water. When it got all hot and dry, some of the trees started to look stressed. So just a reminder to keep an eye on our trees; if you see one that needs help, let me know. We can come check it out. On another note, the finch babies have hatched, so little fuzzy things are moving in their nest. Don’t know how the cardinals are doing as they are much more protective of their nest. Looks likes it a great time in the neighborhood for little ones to arrive!